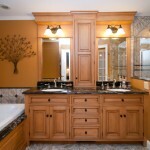 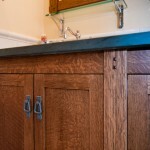 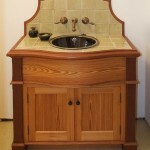 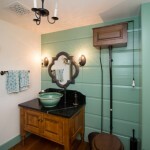 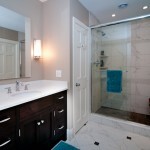 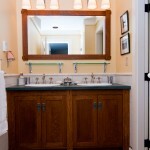 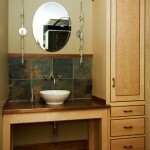 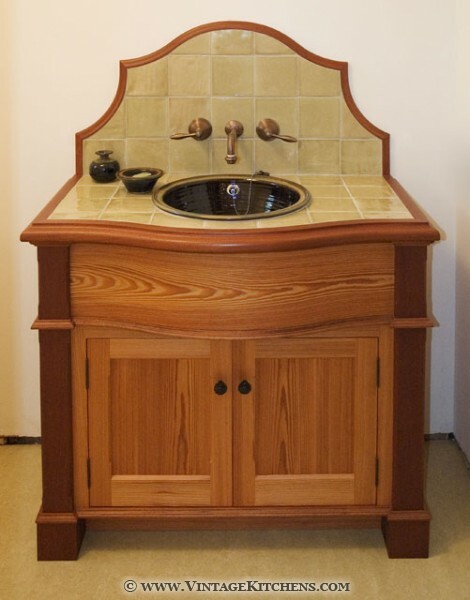 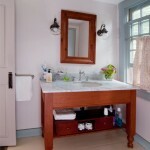 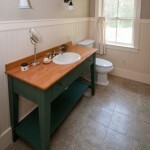 This new powder room in an old Federal Style house features a tiger maple vanity with vessel sink. 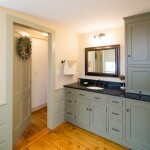 Salvaged floors, antique doors and hand-planed wainscot lend elegant character to this old house bathroom. 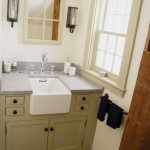 This compact vanity was crafted by our own Vintage Custom Cabinetry shop.